Customer Spotlight: Send us a picture of your Solexx Greenhouse or your Solexx project and you could be our next featured customer! 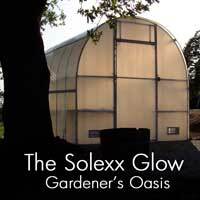 Visiting the Solexx greenhouse headquarters, Beverly gave me a tour of the various greenhouse styles they offer. She also showed me growing and cooling techniques they are currently trialing. 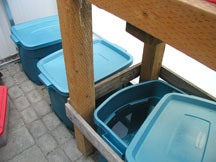 One such cooling method caught my curiosity, so I decided to test it in my own greenhouse.